A new group of volunteers has stepped in to help run Barrington’s Harvest Festival this year — but more volunteers still are needed for the event that draws thousands of people to the borough each fall. Craft and food vendors should call 856-761-4482 or email HarvestFest@att.net. Individuals who can work a one-hour shift on the day of the festival also may use the above email and phone number to contact event organizers. Organizers are expecting more than 200 vendors, along with the traditional beer and food garden at the fire house, classic car show, kids section with petting zoo and bouncy rides, Barrington’s Got Talent showcase and the basket auction. The BBQ cookoff will not be part of the festival again this year, according to a report in the current issue of Barrington’s On Track. 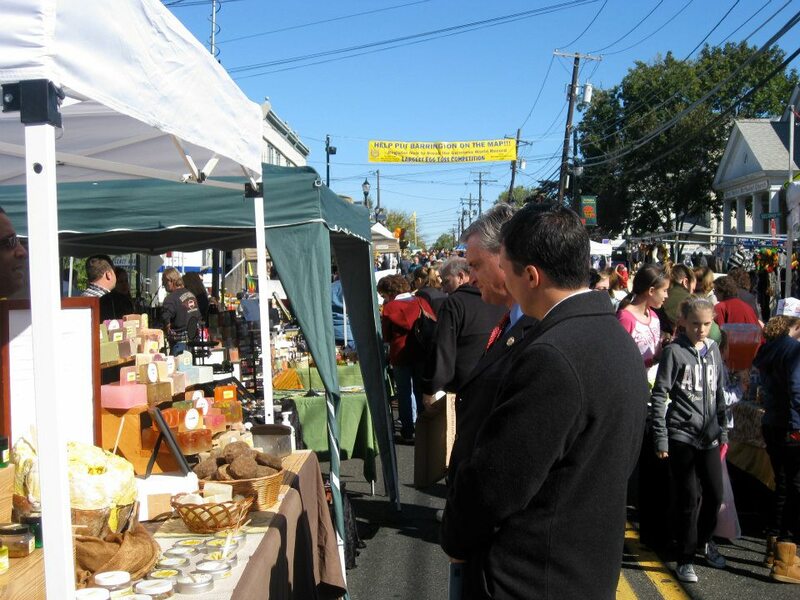 The Barrington Harvest Festival is a wonderful tradition. As a relative newcomer to the borough (moved in in 2004), I was amazed at the size and scope of the event. And one of my favorite aspects was the BBQ Cookoff. It’s what set our event apart from those taking place in Collingswood and Haddonfield. With that in mind, I’ve reached out to the Harvest Festival planners at the email address above asking what can be done to bring this unique event back to the festival. I ask other interested parties to join me in working to keep this tremendous public gathering successful. Will be a rain date if necessary? Rain date is Sunday, same times. This article was written in 2013 and refers to the 2013 Harvest Festival. The 2014 Harvest Festival is scheduled for Saturday, Oct. 11. This entry was posted on June 27, 2013 by Barrington Bulletin in Events, Region and tagged harvest festival.